It looks like winter is coming, and so is the cold and flu season. We have been so sick around here lately. It’s all I can do to get the kidlet bundled up and out the door in the morning, before crawling back into bed. Lucky for her, she has gotten over it mostly, but not without first giving it to me. How sweet. Isn’t that how it always goes. Today I am feeling a bit better, although I am still looking forward to the weekend when I can just sleep the whole morning away. Hopefully next week everything will be back to normal. 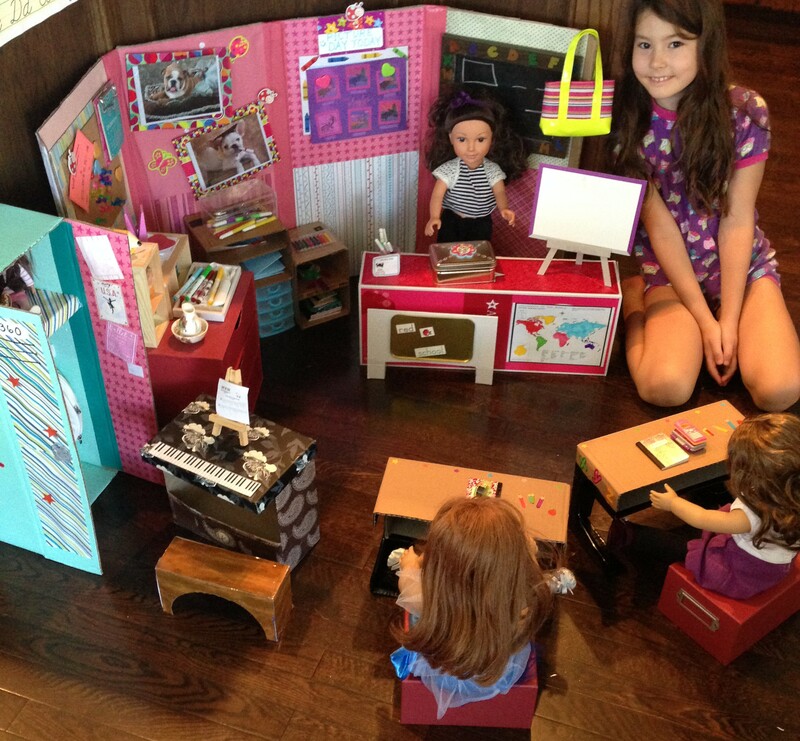 Anyway, here is our Doll School. 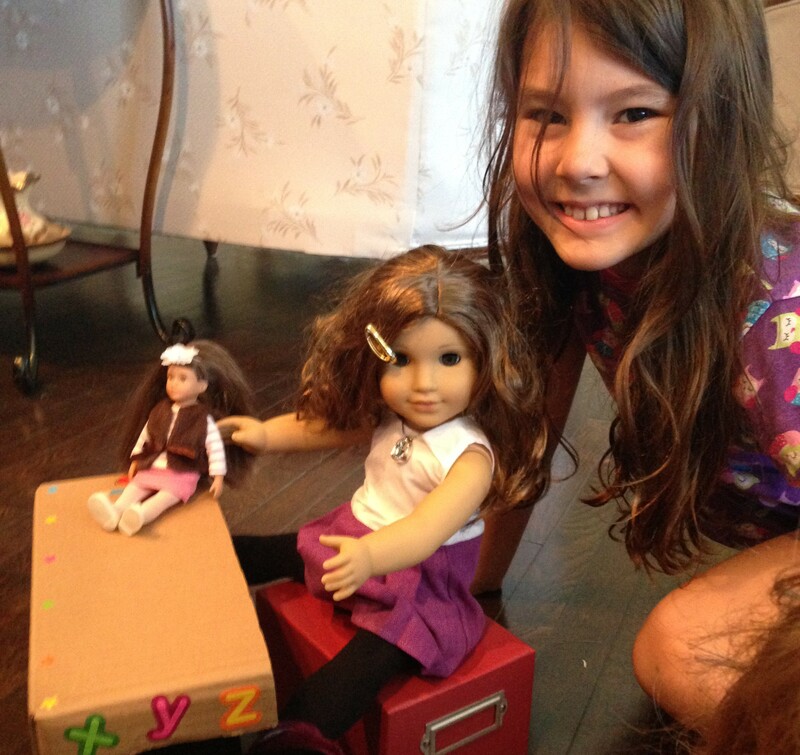 We had a lot of fun making it and it was so much fun to make believe with the dolls. However, we were severely lacking in the desk department. 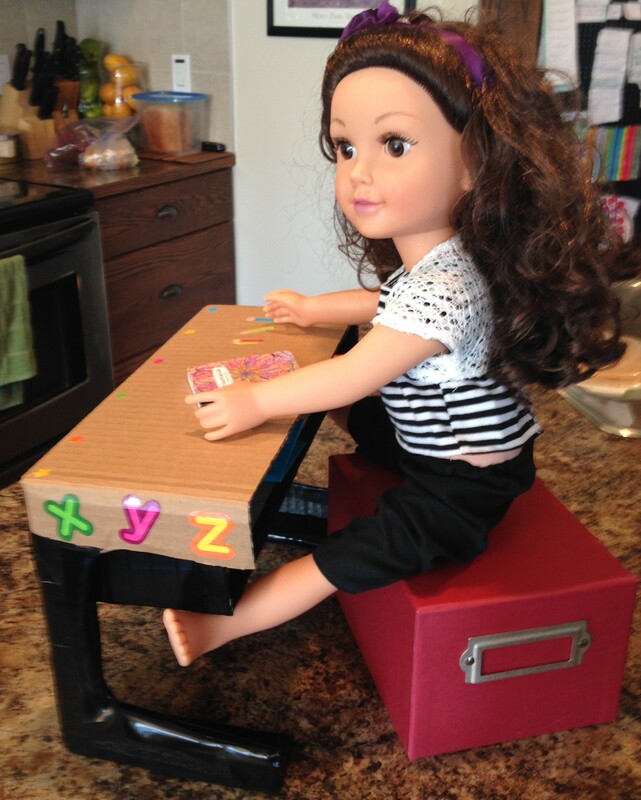 I mean, how can you have doll school without desks, right? That’s what my girl kept asking me too, so I finally had to buckle down and make some. 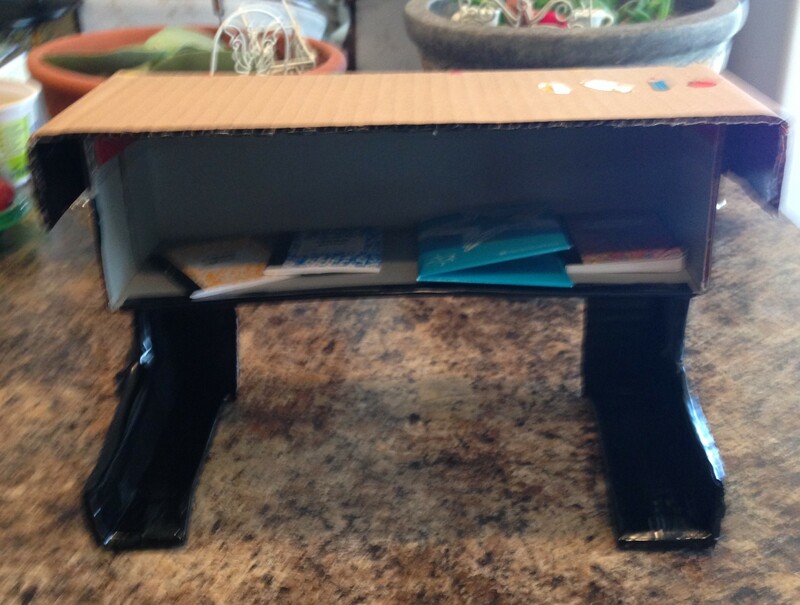 Here is a picture of the box that I used. It was enough to make two desks. 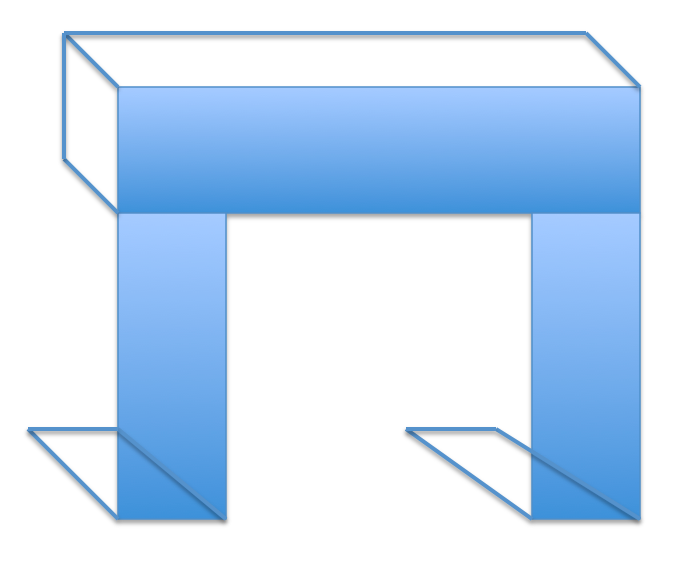 The first thing you want to do is turn the box inside out. It is much easier to work with when the logo is on the inside. Next I just cut it in half with an exacto knife. I don’t have a full tutorial but here are some pictures of how you should cut each half. The back of each desk should look kind of like this. 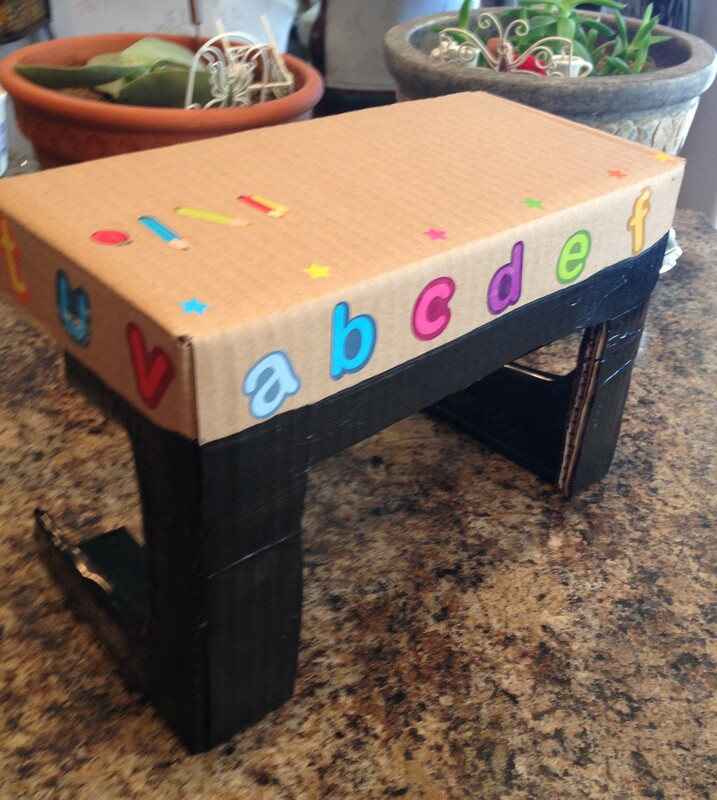 And here are some pictures of the desks after they were painted and covered in duct tape and school stickers. 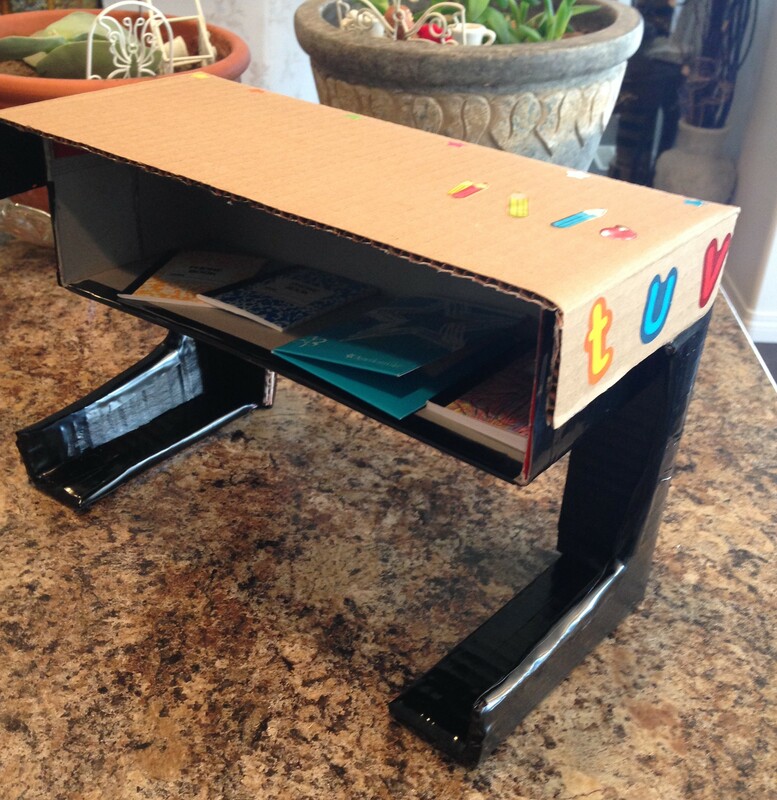 I cut the shoe box in half and hot glued it to the underside of the desk as a place to store things, just like a real desk. I used half of the shoe box for each desk. 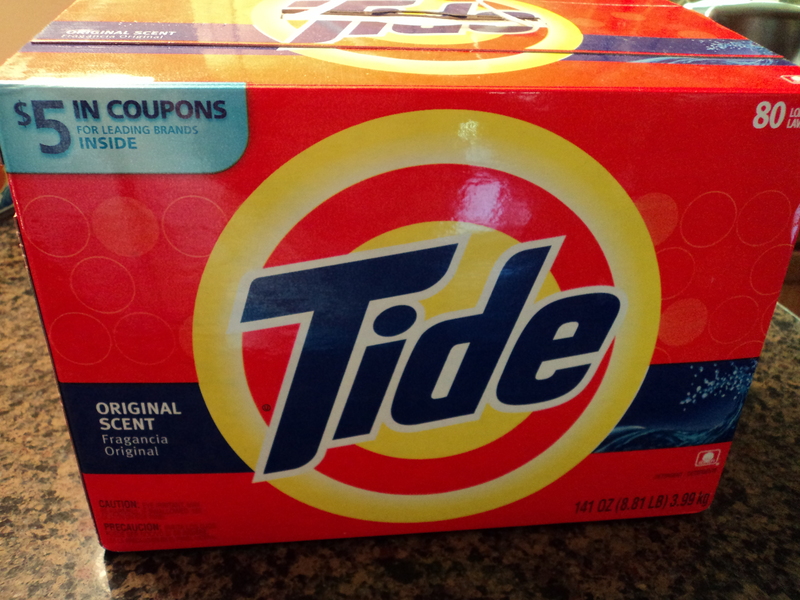 My tide box was very solid so these are pretty sturdy desks. All we had to do was add some chairs. Click on the pics below to view a gallery of our girls at school! I wonder who the teacher is going to be? 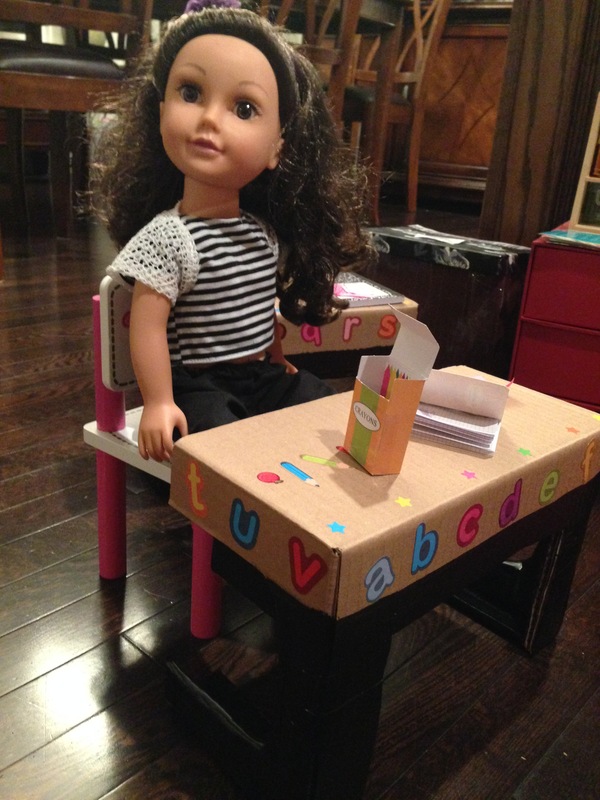 The teacher’s desk is just an American Girl doll box. We taped a map to the teacher’s desk. And that concludes my report on butterflies. Any questions? Oh neat! I like having our desks in pods like this! 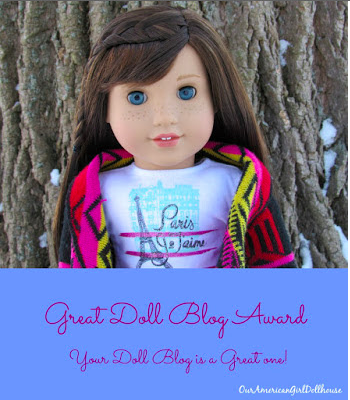 *Create your own doll classroom or find out how to make a doll locker for your school here.